This is an exciting opportunity for a senior finance professional. We are seeking a suitably qualified and experienced professional to lead our dedicated Management Accounting team. 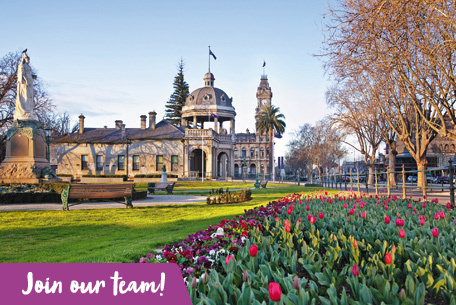 Reporting to the Manager Financial Strategy, and sharing a deputy CFO type role, this role is pivotal in supporting the Vision of the City of Greater Bendigo in creating the world’s most livable community. You will take the lead with the management accounting team and executive in providing strategic financial budgeting and reporting across the organisation – including a 10 year financial plan. You will lead the team in the timely completion of the annual budget process; monthly and quarterly management accounting processes; and supporting reporting on performance of service units and cost centres. This will include working closely with Managers to ensure services are sustainable, and delivering with the team a business partner model across the organisation. You will provide leadership and team management for the Management Accounting team including professional development and coaching of staff as well as maintaining a culture of high performance within the unit. To be successful in this role you will have the ability to present high quality written and verbal reports to a variety of audiences, demonstrated high level of business, accounting and political acumen - and the ability to develop and implement short term plans to achieve long term strategic objectives.